I had a change of mind when I went to dye the fabric a second time. 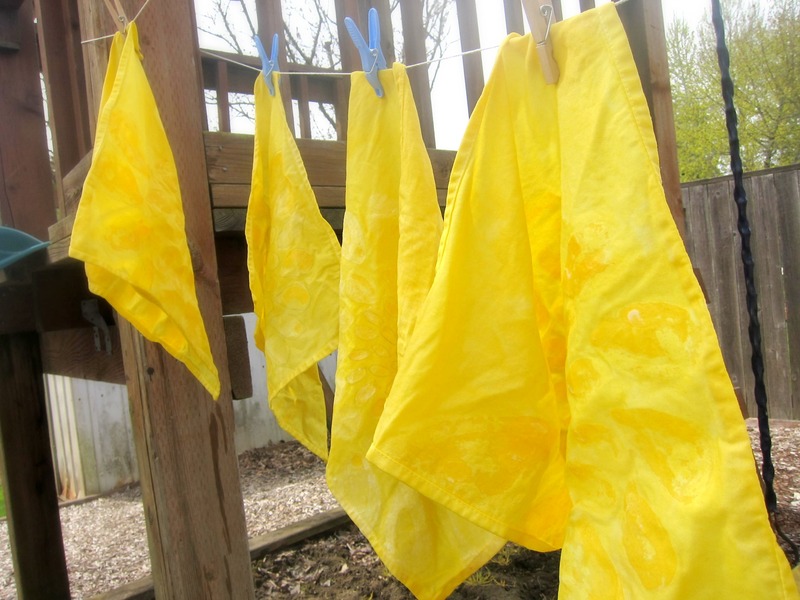 I really didn’t want to muddy the bright yellow dye I’d achieved, so instead of dyeing the fabric I bleached it. I forgot to take a picture of the bleaching process, but anyone who’s ever had to fix a white shirt or (I’m showing my age here) acid wash a pair of jeans, knows what to do. 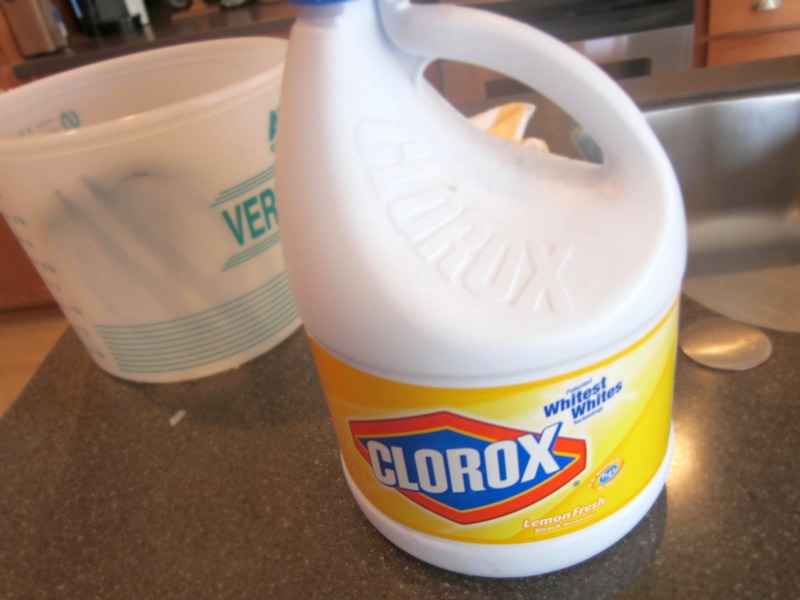 Simply fill the sink with half cold water, half bleach and let your fabric sit in the bath for about 30 minutes. Because the wax was still on the fabric I didn’t want to put the napkins into the dryer. 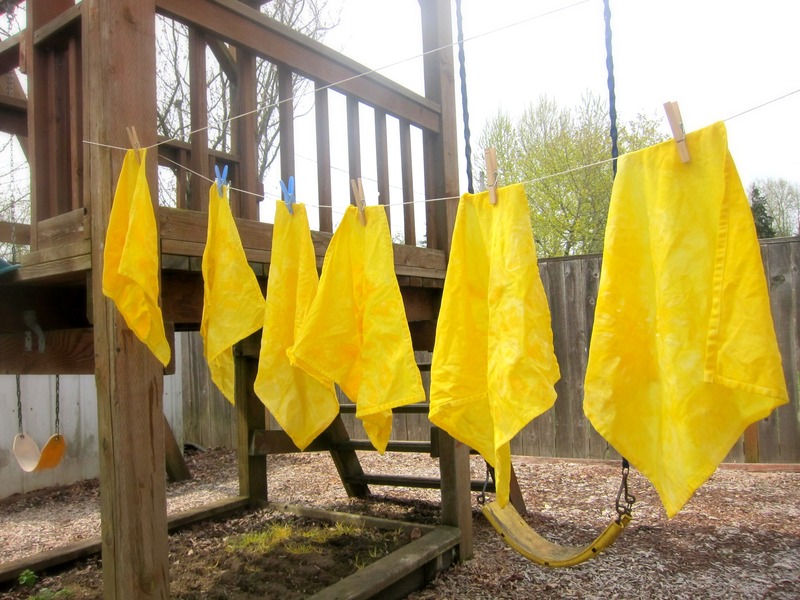 So I hung them out on a clothesline to dry. The next step is to melt off the wax. 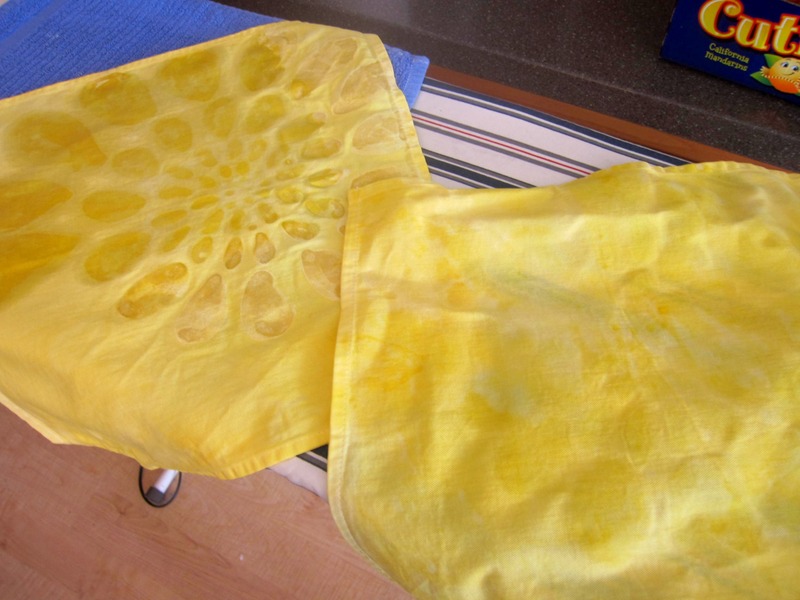 Cover your surface with old towels and sandwich your batik fabric between layers of paper toweling. 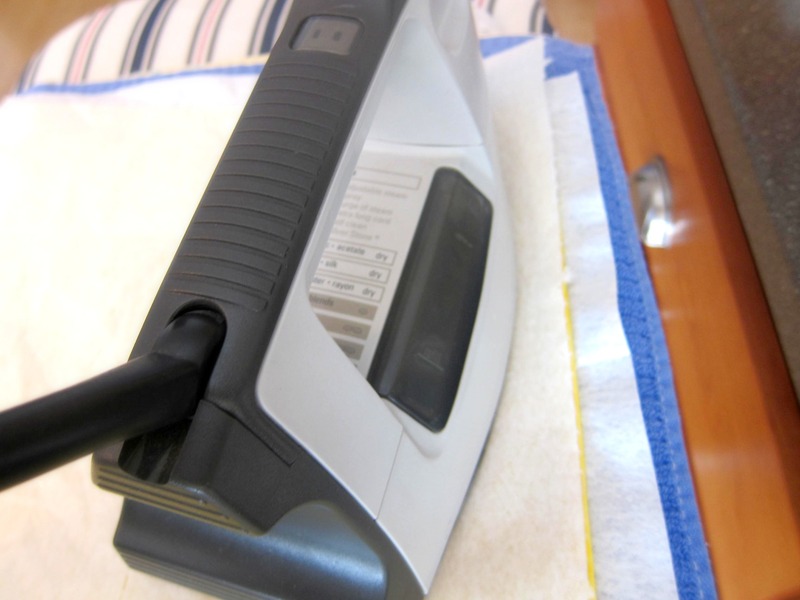 Heat your iron to high and press the fabric, melting the wax onto the paper toweling. Repeat until all the wax is melted out of your fabric. This will take about 150 YEARS! I went ahead and tried to get out as much of the wax via the ironing method. 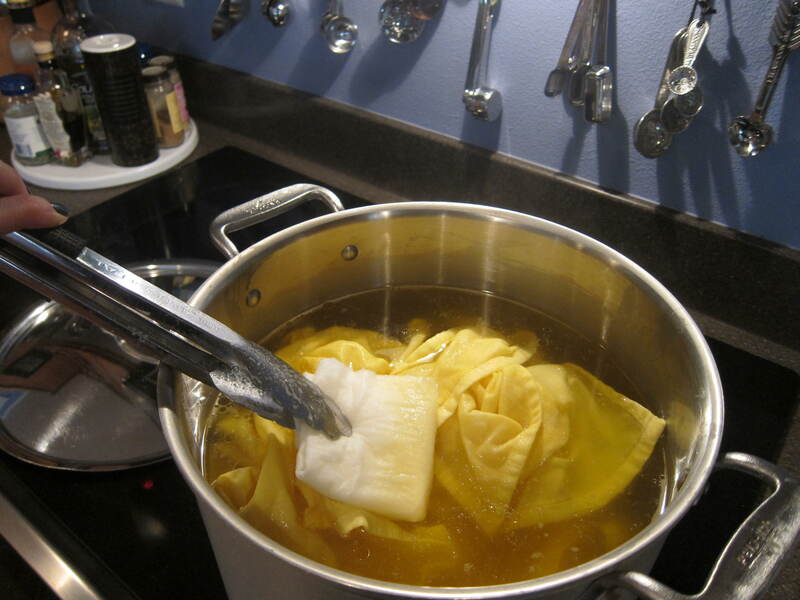 Then I popped the napkins into my biggest pot with hot water and boiled them for about 15 minutes. I skimmed of the wax that floated to the top with paper toweling and tongs. That seemed to get the rest of the wax out. 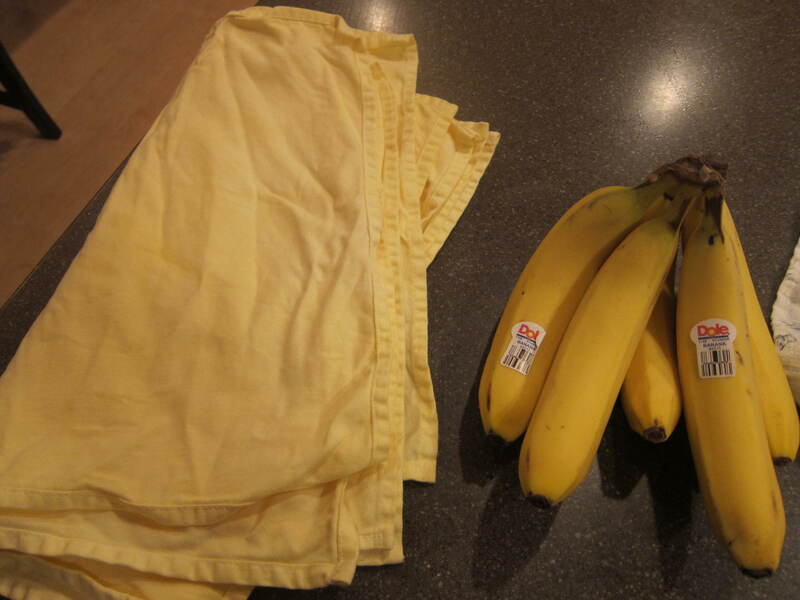 Then I washed them on hot and dried them in the dryer. They turned out to be a really lovely lemony yellow. No wax left but, no pattern either. Recent advice about this project has it that silk is really the preferred material to use if you’d like to print in a Batik style.